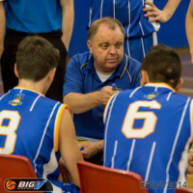 Over a 20 year period, Bob has coached in Australia's toughest state for basketball at nearly every level. The State of Victoria features one of the world's great sporting cities, the city of Melbourne and its basketball competitions are deep and talented and they can be ruthless in their intensity, especially at the top level. Bob started as a basketball coach back in 1990 after coming from an Australian Rules Football background and initially, he had to learn on the run, as he freely admits he didn't have much idea back then. As he continued to coach this all changed over a 10 year period of reading books, watching videos and DVD's, attending clinics, completing courses, watching other coaches and on the job experience, the pieces of the coaching jigsaw puzzle began to come together for him. Through his coaching career, Bob has enjoyed significant success. This was especially so from 2000 onwards in the toughest junior competition in the Southern Hemisphere, the Victorian Championships. This success came despite coaching at smaller associations who endured considerable disadvantages in depth of playing talent, lack of playing and training facilities and being the dirt poor cousins to our much larger opposing Associations. What Bob discovered in this period was that quality was far more important than quantity and if you had the passion, energy and enthusiasm to be a better than average coach you could achieve some very special things with a group of players just as committed and dedicated as you were. Bob has also had an influence on players who have gone on to play for their state, play for their country, secure College scholarships in the USA and in a few cases to go onto playing professionally in Australia's National Basketball League.